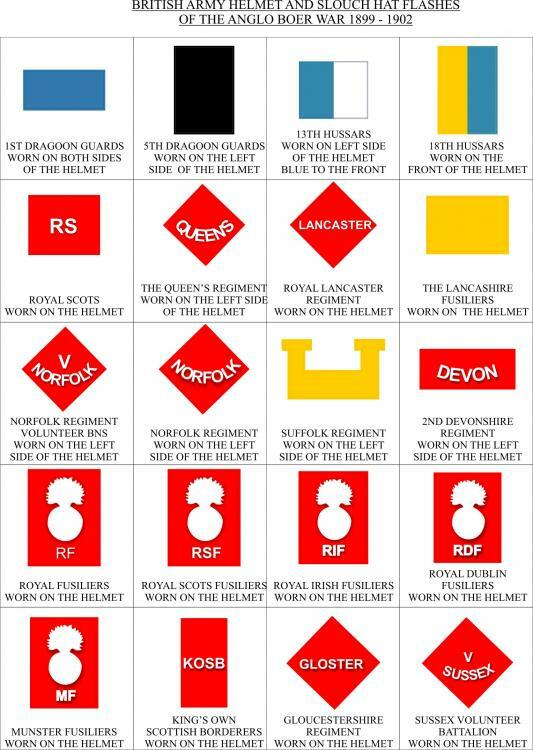 Can anyone help with good photos or information as to helmet flashes worn by Lancashire Regiments in the 2nd Boer War. 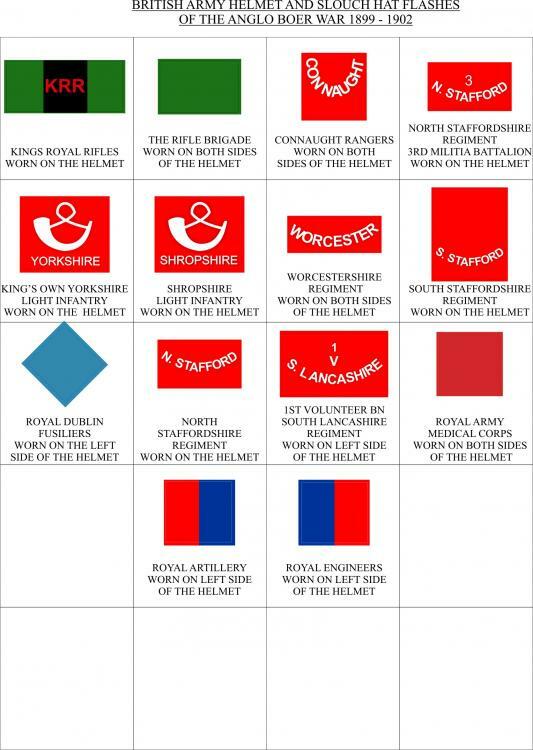 I’m aware of the Lancashire Fusiliers flash but am interested in any flashes worn by the East Lancashire Regt, South Lancs and North Lancs (Loyals). From previous research I believe the flashes were generally made from shoulder straps from Home Service tunics but looking at various reference material for the British forces as a whole the flashes could take different shapes and the layout of lettering could vary. Many thanks for that Mike. Thanks for that SWB, I’ll have a look at this site. Interesting thing is that I don't remember ever seeing any for sale-there must have been plenty around at one stage.